Because of the complexity of the metrological determination of the soil water retention curve (SWRC), so-called pedotransfer functions (PTF) have been developed for several years. Mostly these PTF are based on a more or less simple regression analysis using a limited set of data. In such methods the SWRC is predicted with data on the amount of soil components sometimes supplemented by values regarding the density or the amount of organic materials. Only few PTF deal directly with the particle size distribution. In many cases empirical factors are necessary to obtain a prediction for the water retention curve. 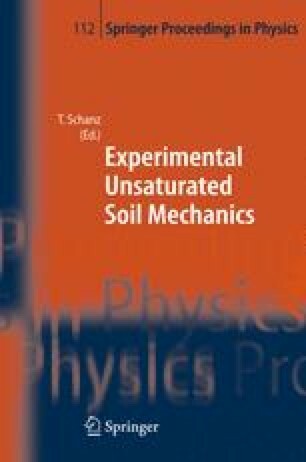 A new method for determining the soil-hydraulic properties using the pore constriction distribution of a soil has been developed, whereby the pore constriction distribution is derived from the particle size distribution depending on the density of the soil. The contribution will present the new pedotransfer method and shows results in comparison to experimental investigations.